The MAIZALL board of directors recently met in Brasilia to discuss advocacy activities. Corn farmers from the United States, Brazil and Argentina may be competitors, but they work together through MAIZALL, the international maize alliance, to collectively address regulatory market access issues in importing countries. MAIZALL is a partnership of four national corn producer associations in the three major corn exporting countries in the Americas: the U.S. Grains Council and the National Corn Growers Association in the United States, ABRAMILHO in Brazil and MAIZAR in Argentina. The MAIZALL board of directors recently met in Brasilia to discuss advocacy activities for 2019. These included agreeing to use a three-pronged approach to address regulatory obstacles against the use of modern technology in agriculture: further aligning policies in all three countries; directly engaging with institutions and stakeholders in the European Union on a bilateral basis; and working with multinational organizations such as the World Trade Organization (WTO) and the Food and Agriculture Organization (FAO) of the United Nations. “Meeting in person is essential for detailed discussions on our issues and for effective decision-making,” said Cesario Ramalho, current MAIZALL president and vice president at ABRAMILHO. 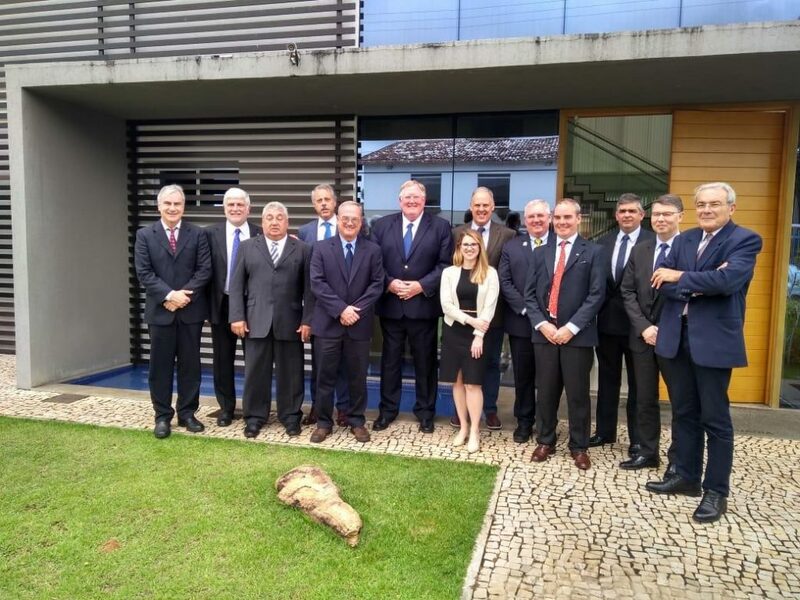 While in Brazil’s capital city, the MAIZALL board members also took the opportunity to meet with representatives of the country’s new government, including Tereza Cristina, minister of agriculture and the president of the agriculture caucus of Congress. The delegation also had productive discussions with CNA (Brazil’s Farm Bureau), Embrapa and others. The MAIZALL board members also visited a cooperative in the federal district, which provided insights into Brazilian farmer crop rotations and operational practices. “It was very interesting to see that growers in other countries, while working under different conditions, all face some of the same challenges,” said Chip Councell, MAIZALL board member from the United States and former Council chairman. Learn more about MAIZALL’s work.